Multilingual SUBTITLED video. 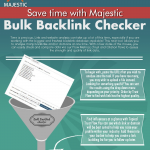 This video will introduce you to the Majestic website and explain “how-to” get the most out of the backlink tools and data Majestic provide. It is a quick overview of how to navigate the website, use the tools and how Majestic can help you to better position yourself within your industry sector. A great video for an all-round overview of Majestic! The Backlink history tool shows you “how-to” display a chart illustrating growth in backlinks and referring domains over a period of time; allowing you to analyse your backlink growth compared to your competitor in pictorial form. This video shows you “how-to” analyse and report on top-level information from hundreds of websites which is perfect for reporting! Plus, the data can be exported into a CSV file for further analysis and comparison. 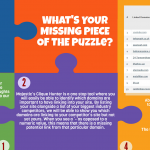 This video will introduce you step-by-step to the Majestic Clique Hunter Tool which is a great way to find link hubs within industries and which domains are important linking to your website. In short, it will show you “how-to” turn a list of domains which MIGHT help you rank in the search engines into an awesome link candidate list, excluding potentially thousands of less likely sites and relegating those with the least traffic. 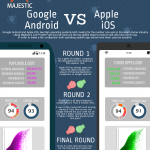 The Majestic Compare tool is designed to help you bridge the gap between you and your competitors. Using this tool you can compare your website with up to four of your competitors; analysing various elements, including Backlink History, Topics, the Topical Trust Flow and other statistics. 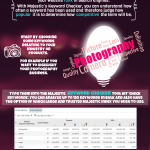 It also shows you how to relates to other tools such as the Majestic Million. The Keyword Checker Tool shows you “how-to” analyse phrases or specific keywords, and understand how often these terms are used across the web; allowing you to see which terms are competitive within your industry. This video will explain how you can analyse your websites’ Link Profile directly against that of your competition. 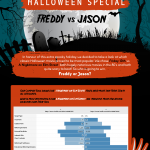 By focusing on the Link Profile charts of two sites, this tool will compare them side by side so you can easily see which has got the strongest link profile. 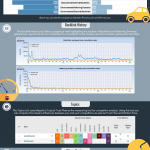 With this you can understand where your link profile is to be improved and where you over take other sites. 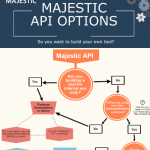 Are you a developer or Majestic user who wants to know “how-to” use Majestic OpenApps? If so, then this short tutorial will teach you the best way to set up an account, use the Majestic API data when developing via OpenApps, and how you can share your app with others. By having the ability to see the IP address and Subnet of domains, you can spot any negative servers that may need to be avoided as well as any link farms. This video will present to you how to use the tool and what to keep your eye out for. The Search Explorer tool is Majestic’s very own search engine. 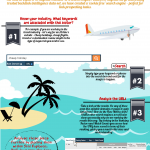 The Search Explorer tool has no cookies and uses an algorithm based on link intelligence. This short video will explain how to use the tool for link prospecting. Multilingual SUBTITLED video. New to Majestic? 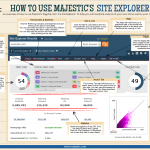 Want help on “how-to” use the Majestic Site Explorer tool and exactly what it does? This is about a 5 minute walkthrough of the Site Explorer – One of Majestic’s main tools which was designed with the user in mind. By watching this video you will understand how you can analyse your website in more detail and its backlink profile information. 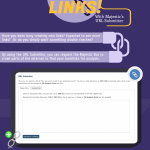 This summary is short, to the point, and provides you with a great method of top-level analysis of the links to and from your website; and most importantly how this can be of benefit. Enjoy! This video shows you “how-to” create and use reports. 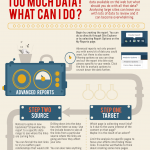 When to use advanced reports, or what information you can obtain from standard reporting. So if you are interested in the strongest links by anchor text, when to apply more advanced filters or just the best way to download every link that Majestic has crawled for a specific domain, subdomain or URL, then this is the video for you! A video that helps you to organise your Majestic data! Topical Trust Flow is a unique feature of Majestic that can help you identify industry influencers that may be affecting a website or URL. 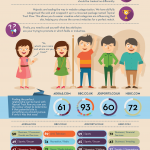 Majestic have categorised the web into almost 800 different industry categories/topics using a unique algorithm. Find out how Topical Trust Flow can help you find influencers, new link prospects and spam with this video. Multilingual SUBTITLED video. 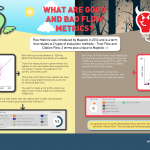 For those of you who would like to understand exactly what the two Flow Metrics are, and what this term means, as well as “how-to” use these metrics to benefit you, then this video will explain everything in a clear and comprehensive way. Using charts, as well as Majestic, you will be able to see how “Trust Flows” through backlink data and can be used to review your backlink profile; in turn enabling you to improve your Search Engine Ranking. 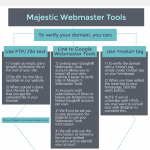 The Majestic URL Submitter allows you to submit websites for Majestic to crawl and extract link data. 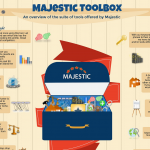 Using this tool, Majestic users are able to submit up to 100 URL’s per day to be crawled. Find out more about how to use the Majestic URL Submitter by watching this video. This short video shows you “how-to” verify your website with Majestic. 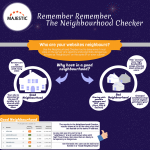 Verifying your site with Majestic allows you to analyse your site and other websites without being charged for analysis of units. We have developed an online training course which provides not just tips, but exercises that students can do on Majestic tools and data. To read more about these videos and how to access the material check out our “Link Building using Majestic” blog post.